When the top three boats all finish on the same points, you know it’s been a close regatta. 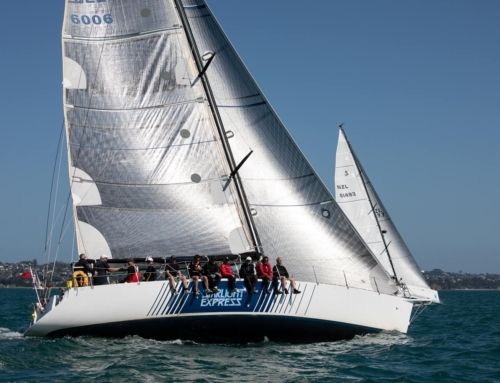 At the recent MC38 Australian Championship, hosted by Royal Prince Alfred Yacht Club, the top three podium place getters all finished the regatta on 31 points apiece. On count back, the RAYC entrant Menace, ended up second. Day one was pretty good for Menace, but after that they felt they had their worst days ever in the one design class. “We felt like it was us against all of Australia with not a single call went our way, be it umpires or OCS calls, maybe we were being paranoid? said navigator Will Tiller. 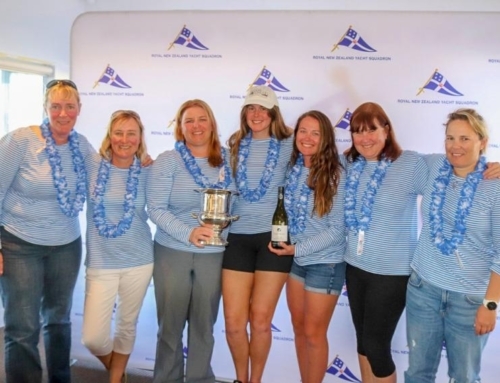 “The team hung tough and never dropped their shoulders and kept giving 100% knowing that in this class it only takes one race, one leg, one puff, one tack, to turn things around and so it was. “On the boat we had our points table wrong and had no idea of the final outcome until we got to the dock!” continued Tiller. Owner/Skipper, Howard Spencer said, “As in every class there is always the competitor who you have a soft spot for and if you have to lose, may as well be them, for us, one of those is Leslie Green (absolute gentleman and at 80+ a cracker to be sailing, let alone at this level) and his crew. Congrats to them. Whilst disappointing to be the first loser, it was, on reflection, another awesome regatta in a great class with a great atmosphere, one design at it best! “Will Tiller was great stepping in for Ray (Davies) did an awesome job considering it was his first keel boat regatta since his last one over six months ago with us!!! Lastly a shout out to Doyle Sails and James Dagg who with out doubt given us a speed edge in all conditions, only problem with being fast when you go in the wrong direction you tend to go a long way!! !” continued Spencer. Regardless of the result, RAYC is incredibly proud of the entire Menace team, helmed by Howard Spencer. The Australian Championship team on Menace was James Dagg, Alistar Gair, George Brasell, Danielle Bowater and Nick Burridge, Will Tiller, and token Aussie, Milly Bennett.